Foshan M-CITY Aluminum Co.,Ltd is the leading professional manufacturer and Supplier for architectural Aluminum facade, aluminum cladding in China, established in 2008, we specialized in the manufacturing, design and sales of aluminum facade, aluminum cladding, aluminum louver and aluminum decorative laser cutting panel for building facade and other building decoration. We have the senior design team, with more than 25 years site experience, more than 160 staffs, more than 50 set processing equipments. We can provide the skilled technology support and samples for your project in time . 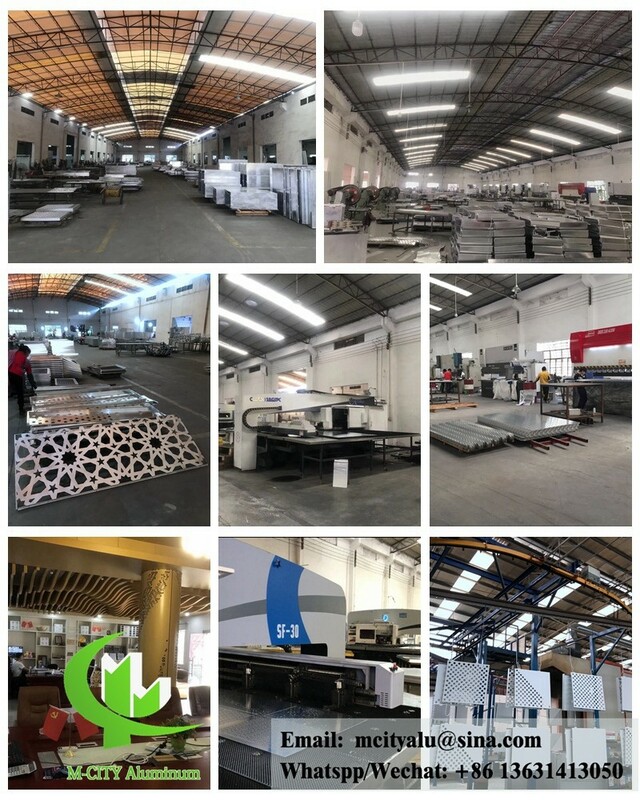 Main products: Aluminum facade, aluminum cladding panel, perforated panel, laser cutting aluminum sheet, aluminum solid panel, aluminum curtain wall etc. Application: facade, cladding, window, screen, privacy screen, louver, for Commercial builidng, residence, office, hotel, school, etc. 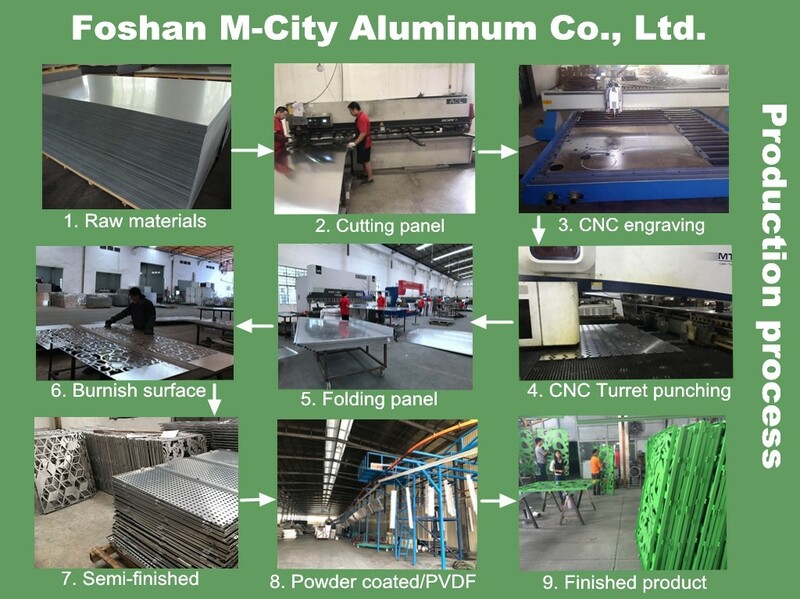 Company Name: Foshan M-City Aluminum Co., Ltd.